When the season is in we also do holiday lighting installation and removal. Whether you are looking for a simple display to brighten things up or want to dazzle the neighborhood with a spectacular lightshow, Skyview Services can help no matter what the budget. We have been in the business of taking on tasks that most homeowners wouldn’t ever even consider. Holiday lighting can be a lot more work than suspected and at times it is difficult to make time in our busy schedules to get it done. Our staff has the experience, tools and equipment to get the lights and other decorations up and working properly. We can install your lights or ours….we are flexible. 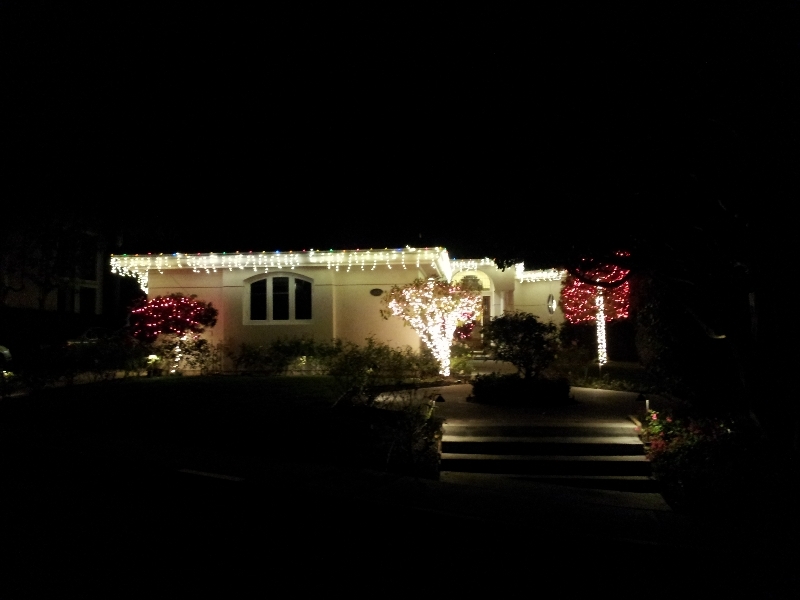 We offer all of the latest styles of holiday lights such as incandescent mini, C-7 and C-9. We recommend energy efficient and durable LED mini, C-7 and C-9 lights which use a mere fraction of the electricity and have incredible durability compared to their outdated counterpart incandescent light. We do trees, palms, hedges bushes, topiaries and more. Think before they blink and call us to come out and give you a free estimate.